On Thursday 2 May, WTR will be hosting a free-to-access webinar focused on measuring the return on investment of online brand protection. Crucially, the exploration will highlight why traditional approaches may not resonate with the C-suite. The definitive ‘go-to’ resource for those seeking legal trademark expertise, which identifies the leading lights in 70 jurisdictions globally. 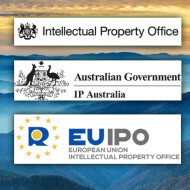 A unique directory which shines a light on those in-house professionals performing trademark-related duties to the highest standards. The leading gathering of global IP decision makers and thought-leaders returns to Boston! As the fourth industrial revolution gathers pace, IPBC Global’s 2019 programme explores the key IP issues this new era of change and innovation presents for corporate leaders, policy makers, investors, the legal profession and third-party service providers. Research projects tracking the latest market trends for trademark professionals. World Trademark Review offers an extensive range of special reports. Our unique and timely intelligence service informs commercial trademark decision making in boardrooms globally by translating trademark law into business sense.